The upper offices of USCF Mission Bay offices were getting harsh glare from the skylights above. Windows Solutions recommended and installed 3M Night Vision 15 to fix the problem. For highrises with glass exteriors, spandrel glass is used to hid the in-between floor space where cables, electrical wires are kept. In this case study, a San Francisco highrise located at 456 Montgomery had some unsightly spandrel windows. The building manager worked with Solar Art to come up with an attractive as well as cost-effective solution. Filoli is a country house set in 16 acres of formal gardens surrounded by a 654-acre, located in Woodside, California, about 25 miles (40 km) south of San Francisco, at the southern end of Crystal Springs Lake, on the eastern slope of the Santa Cruz Mountains. 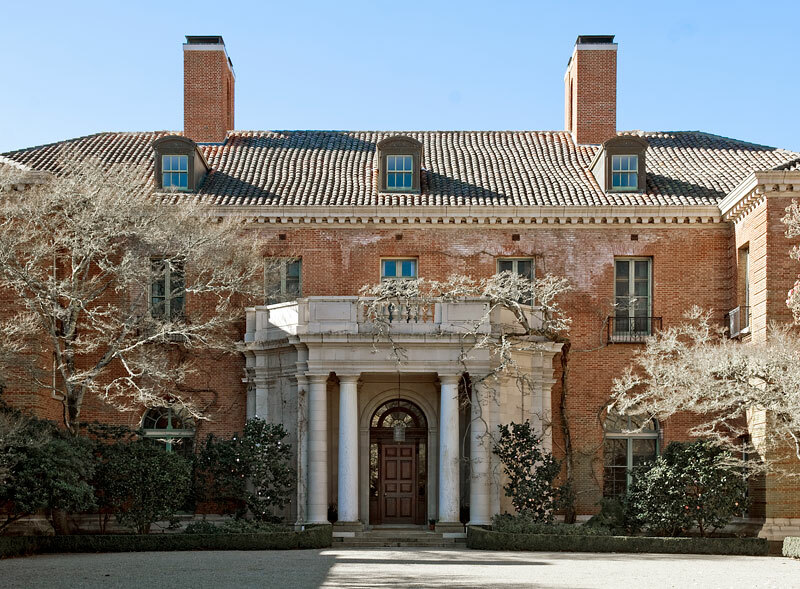 Now owned by the National Trust for Historic Preservation, Filoli is open to the public. After over 25 years the old window film at Filoli (3M RE35N) that Solar Art installed in the 1980’s was due for an update. As seen in the library photo, the mansion is a showcase of Neo-Georgian style and it is completely furnished. A A top concern of this installation was to insure fade protection for the interior finishes and furnishings. After a rigorous investigation by the top preservationist in the country, Solar Art was selected to remove and replace the existing window film. Since Fiolio’s is a favorite spot for both locals and tourists, we worked while the building was open the the public. After carefully removing the old film, we installed 3M Prestige 70 to the windows and glass doors throughout the interior of the main building. Obviously, a big challenge was the irreplaceable, antique glass. This takes experienced installer and Solar Art once again demonstrated their expertise using the best product in the market (3M Prestige 70). We do this kind of work for all our residential customers both large and small in the San Francisco Bay Area. 3M sun control and safety films were used for energy savings and safety measures. The Harry Tracy Water Treatment Plant is key part of San Francisco Bay Area water system but is located almost directly on the San Andreas fault. This was highly technical job that required careful design, planning and installation.The job had two important objectives – increase the building’s safety and help reduce energy usage. For sun control, Prestige 50 was selected because of its selective wavelength properties. The safety requirement was satisfied with 3M’s Impact Protection Attachment system and provides 3M’s highest insurance that broken glass will stay in place in the event of an natural disaster, i.e. an earthquake. Window film with 3M’ safety attachment system is a two part installation. First, the film is laminated to multi layer safety film and then the film is bonded to safety frames with either the IPP rubber or IPA structural adhesive. This job was part of a $276 million upgrade. The upgrade will provide long-term improvements to the Harry Tracy Water Treatment Plant, a critical component of the SFPUC water system Harry Tracy Water Treatment Plant, enabling it to operate at full capacity. Giant fans should notice more comfortable temperatures for the summer season. This iconic structure was constructed to LEED (Leadership in Energy and Environment Development) platinum standards by a world renowned architect, Thom Mayne. It was designed to be attractive and energy efficient. Using sustainable design principles, the building’s shape and orientation maximize natural airflow for cooling and ventilation and take advantage of natural daylight for the majority of the office interiors. One of the striking features is its use of natural ventilation – no building wide AC system. Of the thousands of homes we have done in the Bay Area, we picked an ultra-modern residence with new glass and spectacular views. Even with new modern glass system, the home owner started seeing sun damage. The solution had to be clear, cut all the UV and infrared, but keep the natural light. Solar Art installed 3M Prestige 70 window film throughout the house. This invisible installation blocks the UV and infrared rays and still lets in light. There is added earthquake safety from this window film because of 3M’s proprietary adhesive system. The entire installation is under a 3M lifetime warranty for material and labor for as long as the customer owns the home. The 3M Prestige technology is color stable, cannot corrode like convention selective wave length films, and because there are no exotic metals, there will be no cell phone interference. We also installed some custom decorative graphic films in the wet bar and bathroom. This is a repeat customer. Thank you for letting us show off your home.